This magnificent villa is set in the middle of a 3/4 acre lot and is surrounded by natural Floridian trees, palms, bushes, and vegetation providing a high degree of privacy around the house and pool. The house is tastefully furnished, well maintained and regularly updated by the owners, and has very large panoramic windows overlooking the pool from both the quiet sitting area as you enter the villa and also from the master bedroom. The villa has four good sized bedrooms, one master and one queen size (both with en-suite bathrooms) and two further bedrooms, each fitted with two beds and sharing a third bathroom. There are two sitting areas, one overlooked by the kitchen and fitted with comfortable seating and an entertainment center including HiFi, Video, DVD, and large cable TV. The second sitting area is separate from the first and is suitable for sitting quietly or having a quiet drink in the evening whilst overlooking the illuminated 28ft pool and fountain. The villa is located just a couple of minutes drive (12 minutes walk) from stunning Manasota Beach at the north end of Manasota Key. 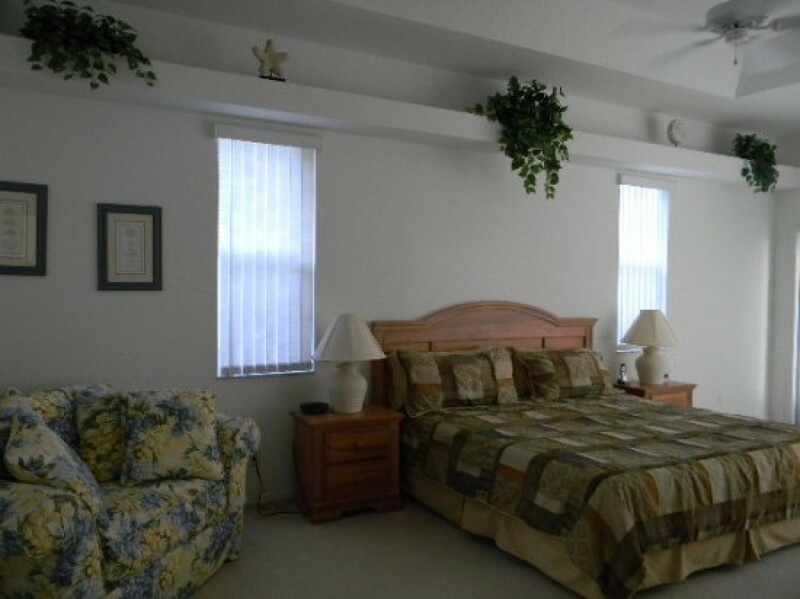 It is quiet but ideally located for easy access into Venice for eating out and for I 41 for trips to the malls around Sarasota and St. Armand's Circle. High speed internet and free calls within the US and Canada.